Reading out loud is like Driving - Which side of the book are you? When it comes to driving a car, I refuse to have my husband as a passenger. Even when I've gone to pick him up from somewhere, I prefer to slip across to the passenger's seat and let him get behind the wheel. This is not because of sexist opinions that the male should always drive. He's just better at it than I am. He has a perfect sense of direction and finely-tuned reflexes. But most of all, when I drive he clutches the sides of his seat and looks agitated, making digs about how bad I am. He's simply the best person for the job. In the same way, when it comes to reading stories out loud, I believe I'm the best person for the job. When we first got married, we headed off on a holiday with a trilogy of novels to read together. We'd intended to take turns reading, but it quickly became clear that Andrew wasn't the right person to do it. He was too erratic, often pausing to figure out words he felt tough to get his tongue around. Sometimes, he was so busy just trying to read sentences out loud that he had to pause to glance over them again for their sense of meaning which interrupted the flow. It didn't take long for him to decide that as I enjoy reading out loud, I could do it permanently. I was happy with the deal, as I'd been reading out loud to my mum since I was very small. This hobby isn't everyone's cup of tea. I had to smile as I thought of three famous novels in which an unwilling young character is coerced (or forced) into reading out loud to an antagonistic elderly person. 1) Little Women. Jo is a hired companion to rich, crabby old Aunt March (who is actually her great aunt). It's a hassle for poor Jo to be pinned down to a seat, reading the dry old books Aunt March wants to hear. The main thing which helps her bear it is that she can duck into the library to find a book of her own choice for silent reading when the old dame nods off. 2) The Book Thief. Young Liesel Meminger manages to soothe the angst and panic of the neighbours on her street, as they huddle in the bomb shelter, dreading what might happen suddenly. She considers herself to be handing out words, but doesn't expect mean old Frau Holtzapfel, who spits on their door, to come knocking, asking for Liesel to come and keep reading to her in the privacy of her own home. To Liesel's dismay, her mama, Rosa Hubermann, agrees, as Frau Holtzapfel promises to stop the spitting, and to hand over her coffee ration in return. 3) To Kill a Mockingbird. Jem Finch is ordered by his father, Atticus, to read to bedridden, nasty old Mrs Dubose. There is no way he can wriggle out of it, as it's ostensibly his punishment for losing his cool and going berserk in her garden. Even though she behaves very strangely during the reading sessions, not until later does Jem discover the real reason for her request. I'm sure his reading probably did help distract her. Even though these three situations appear less than ideal on the surface, they show the power inherent in reading out loud, evident in the creation of truces and ties which weren't there in the first place. The power of a good story breaks down walls and barriers between people who, on the surface, are very different. The act of a reader and listener sharing an author's intentions and inspiration is an excellent way to promote good feeling between them, even when it wasn't there to start with. And I'm sure Jo, Liesel and Jem would all look back on those reluctant sessions with nostalgia. Jem's little sister, Scout, who went along for moral support, certainly did. So I like to be the reader, and my husband and children prefer to be listeners. 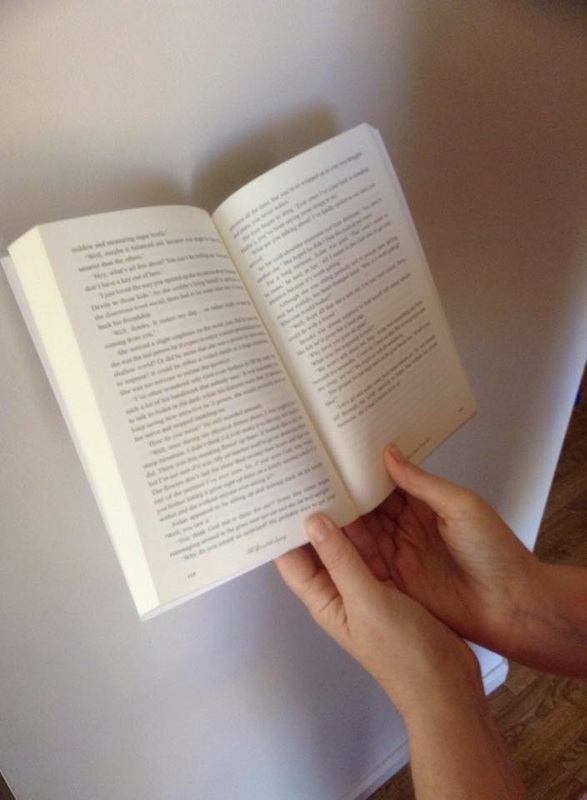 When it comes to reading aloud, which end of the book do you like to find yourselves? Although this book has had many positive reviews, it's also had critical ones into the triple figures, some of which have been liked by over 1000 others. The themes of most of them are similar. 1) Rubin, living her charmed life in a multi-million-dollar-earning family, has a nerve to think she can tell normal strugglers how to be happy. 2) Some of her advice is trite, such as clear up your clutter and don't nag your spouse. 3) Why does she claim to be unhappy in the first place, given her rosy circumstances? I'd already written my review before coming across these negative reviews and articles. Although I had the impression from her book that she was well-to-do, I had no idea of the full extent of Rubin's wealth. In her chapter on money, she admits, 'Jamie and I are in the position not to have to worry about our spending habits' or something like that, which turns out to be the understatement of the century. Some critics suggest the book was written in such a way that readers wouldn't find out, which seemed sneaky on the part of both author and publisher. Why bother hiding the fact of an author's prosperity unless they thought it would cause backlash in the book's reception? It got some flak anyway, but would it have happened to the same extent if they'd been straightforward about her luxurious circumstances? I admit, I toyed with an impulse to change my review to fit these new facts. I understood the reviewers who wrote that changing her career from law to writing wasn't the sacrifice she made it sound when money was no issue. In her book, she often likes to say, 'I've got to be true to myself and be Gretchen.' Since the real Gretchen is rolling in dough and she deliberately hides that fact, I get why people may question whether the real Gretchen matches the Gretchen in the pages of the memoir. But at the same time, I enjoyed the book. I decided not to change my review. Why should the fact that she has lots of money change the overall impression I had when I didn't know? It happened to be a very good impression. Most of the positive tips I picked up will work regardless of our income. Whether or not she and her publisher made a wise move by deciding to conceal it remains a matter of debate. In this lively and compelling account of that year, Rubin carves out her place alongside the authors of bestselling memoirs such as Julie and Julia, The Year of Living Biblically, and Eat, Pray, Love. With humor and insight, she chronicles her adventures during the twelve months she spent test-driving the wisdom of the ages, current scientific research, and lessons from popular culture about how to be happier. The author herself calls this memoir genre 'stunt non-fiction.' They've been abundant in recent years. 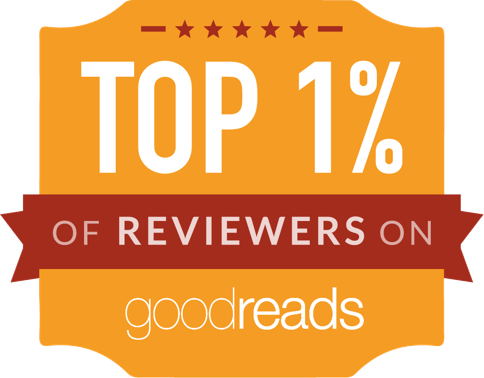 Their authors spend a year doing something noteworthy and writing about it. In Rubin's case, she decided to boost her happiness level by focusing on a different possible method each month, to determine which worked best. Like many of us, she wasn't clinically depressed but knew there was plenty of room to increase her sense of well-being. I've read quite a few of this genre, and this one turned out to be one of the more helpful and interesting ones. Here's why. 1) She works it around her normal domestic life rather than going off and doing things which would be impossible for many of us. No quitting work or buying rustic old mansions in the country. No pilgrimages to spirituals centres of the world. Her experiences are practical and easy for us to emulate, should we feel inclined. 2) She's not one of those wordy, dry experts in fields such as psychology or cognitive therapy. This means the book isn't crammed with tiny print, waffly language and tiresome graphs, tables and other statistics. The content is lots of memoir and personal anecdote, which I find far more readable and appealing. Instead of expecting us to slough through the heavy stuff, Rubin has done it for us, and made the path far easier to follow. What's more, I unconsciously thought being happy would involve some total personality makeover which I hoped to achieve some day. I'd be happy if I was more out-going and more easy-going, but that cool, chilled character isn't really me. That doesn't mean I can't be very happy my own way, taking into account the levels of introversion and neuroticism with which I seem to have been dealt. In her stories, Rubin repeatedly makes the point, 'I was still basically me.' It's not about changing ourselves but figuring out how we can maximise our personal happiness, given our raw material. That gelled with me. The eye-openers continued. Through her experiences, Rubin challenged me to see that I shouldn't be deploring my true passions just because they don't strike me as adequate, or seem to yield impressive results. Like her, my main one is books. Reading, writing, blogging, book reviewing, and even the excessive note-taking about apparent trivia which might not seem to interest anyone else. Hey, if it makes me happy, I don't need to excuse it. This book made me want to chase up some of the references. It made me take too many notes to squeeze into one review. I was left wanting to read over several points again, and buy my own copy. A hard-copy at that. I was actually expecting to scoff a bit at this book, thinking that anyone like Gretchen Rubin, who isn't lacking money or work prestige, isn't really in touch with those of us who struggle with these things. But it turns out the subjects she works on are things any of us can master. I think this book may be life-altering, paradoxically by showing that these changes aren't designed to be life-altering at all, but simply life-enhancing. It deserves full marks. How do we have a relationship with a God we can’t see? There must be more to the Christian life than silence, and more to God than a vacant stare. · Sense God’s personal attention in unmistakable ways. · Cultivate a constant awareness of God’s presence. · Enjoy the reward of secrets between you and God. · Take risks to break out of a status-quo life and connect more directly with God. · Discover the intensity of God’s interest in you. You don’t have to settle for a distant walk with God. He wants you to know that He notices—and that He delights in you. This book draws us in with a question we've surely all pondered. How do you form a father/child relationship with somebody who we can't detect with our five senses? The title appealed to me because we all hunger for feedback. 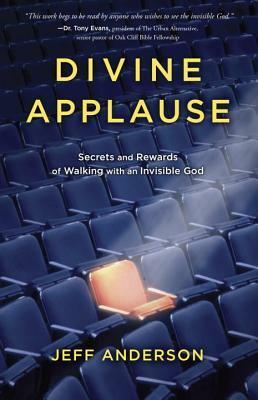 I know many people hope to hear, 'Well done, good and faithful servant' in their next life, but what if there are ways we can detect divine applause in the lives we're living? I'm always interested to read about such things. As feedback has proven to be a powerful motivation tool for humans, it's probably not unreasonable to think God has given us means to be attuned to his. I like the way Jeff Anderson explains that we must learn to see things differently. He has a hearing difficultly, and had to learn different approaches in receiving information at school, which didn't involve his ears. In the same way, we need to stop relying on our physical senses when it comes to God, and learn other techniques when it comes to hearing from him. These involve attuning our spiritual senses, and is what this book is all about. Thinking of it as learning a foreign language makes the whole concept a bit easier. As a father of young children, Anderson uses frequent anecdotes of life with his family to lead into general principles about our lives with God. At times, the book seemed to drift into other subjects, such as giving and fasting, because these were subjects around which he felt he experienced some of his greatest revelations. For others, they will be different. One of my favourite aspects of the book is the emphasis that our original purpose was not to evangelise the world but to simply share God's delight. When you think about it, people who successfully do the second may be best at doing the first anyway. Overall, we're encouraged to sharpen our spiritual senses by expecting good things from God. Thanks to WaterBrook Multnomah and Blogging for Books for my review copy. In the West, we have everything we could possibly need or want—except for peace of mind. So writes Linda Leaming, a harried American who traveled from Nashville, Tennessee, to the rugged Himalayan nation of Bhutan—sometimes called the happiest place on Earth—to teach English and unlearn her politicized and polarized, energetic and impatient way of life. After losing her luggage immediately upon arrival, Leaming realized that she also had emotional baggage—a tendency toward inaction, a touch of self-absorption, and a hundred other trite, stupid, embarrassing, and inconsequential things—that needed to get lost as well. 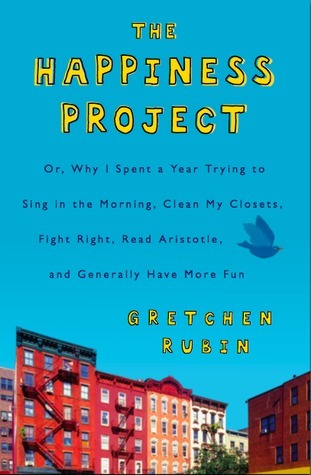 I enjoy reading happiness literature, and this one has some special features coming from the author's direct experience. She lives in Bhutan most of the year, but returns to America often enough to notice sharp contrasts in general styles of living and attitudes. Maybe these cognitive cultural differences help explain why one group has a high happiness ranking and the other is much lower. It was a very convincing read. Leaming explains how living in an ancient culture has shaped her to think differently from the way she was programmed growing up. In Bhutan, just getting food and water and keeping warm and dry is more challenging than in the western world, and a bigger source of satisfaction when she pulls it off. As her husband is a native of Bhutan, she has a lot of fun trying to view America through his fresh viewpoint. 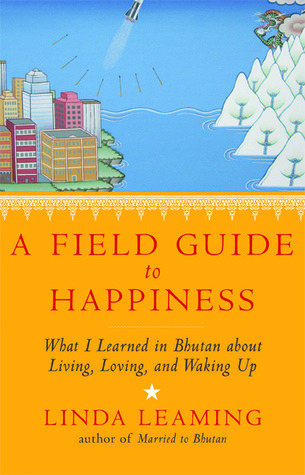 There are 22 chapters, each focusing on a different approach to happiness. I'll mention some which impacted me most. 2) Smiling in the face of annoyance really is powerful. I've sometimes thought this advice comes across as trite and simplistic. This book has been most successful at convincing me that the opposite is true. We're taught to stick firm to our points of view and not allow ourselves to be walked over, but on many occasions, smiling and shrugging is simply the easiest way to get along. 'If you can embrace the absurdity that is all around us, you'll be so much happier and prettier,' she says. 3) Things generally always work out fine one way or another. Some cultures call it karma while others prefer to consider it God's orchestration. I've often made the mistake of behaving as if this isn't true, and that everything depends on me, getting myself anxious and worked up into a state. 4) We westerners try to cram far too much into our days, causing excessive pressure. Leaming says that in Bhutan, she considers it a busy week if she has three things to do, whereas in America, she usually has three things to do between breakfast and lunch. Our culture may have us believe that the person who crams most productivity into a day is the person who has lived the most. Yet what if the opposite is true? These are the sort of people who whiz through life so fast, they miss all sorts of great, unobtrusive wonders. 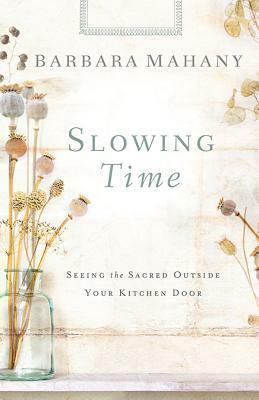 Others who live at a slower pace, doing one thing at a time, are the ones who notice the wonderful details, and end up living the fuller life. 2015 Reading Challenge, Week 12 - A Book Written by someone under 30. I discovered this book because I follow the author's review blog. I had no idea what to expect, but I was pretty confident there would be romance, as she gives the books she reads a romance rating. I enjoyed this story, and admire the way in which a writer in her twenties is able to bring a historical period from long before her birth to life. Second-Place Winner of the 2011 Women of Faith Writing Contest! Set in a small Mississippi town during the heart of the Civil Rights era, The Eyes of the Heart is a story about forgiveness, love, fear and hate. It is also a story about Edith Holden, a young woman living in the deep south who finds herself unwillingly confronted with racism, social injustice and her love for a man she is unsure she will ever have. This is a story about two African-American sisters set in the Civil Rights period of the twentieth century. It follows the fortunes of Eddy (Edith) and her sister, Sylvia, from their childhoods to adulthood. It's set in the deep south, Mississippi. The narrator, Eddy, is in love with Robert, a handsome man with a heart for social justice. She faces the heartache of feeling that she's not his first choice, and the ever-looming threat of danger his path involves. Her sister, Sylvia's story was even more compelling for me, like a modern 'Romeo and Juliet.' She's in love with Nathan, who returns her feelings, but a future together seems utterly out of the question, for he is the son of the wealthy, white land-owner whose mansion their mother cleans. This novel brings several things to light for me. 1) Even years after the American Civil War, these poor folk had to put up with appalling treatment, keeping them on edge at the best of times, and fearing for their lives at the worst. 2) It's amazing that young people like the Holden sisters were able to grow up with a sense of dignity and self-respect, when being treated with contempt was all they'd ever known. I found it sad that the reflex of ducking for cover was natural from the time they were tiny. Their story reminded me of reminiscences told by my mother, about what she and her sister used to get up to. They were similar ages in the same decade, and also struggled to make ends meet, but my mother and aunt had it way easier in comparison to Eddy and Sylvia, as they were white girls living in Australia. These similarities just reinforced that no young women should have had to live under the shadow of this novel's heroines. In spite of the weighty theme, this is an easy story to read, with plenty of lighter moments. At one stage, I thought their mother, Dottie, showed remarkable patience. The girls were supposed to be helping her clean the mansion, but seemed to have a lot of time for reading, chess, play-acting and discussion with Nathan. However, I suppose that can be explained by Dottie's own high regard for the young master of the property, who was unlike any of his relatives. Having a story told in first person from one character always has its limitations, but Eddy is an astute and wise storyteller who notices lots. I think her voice does restrict all that we can find out about Sylvia and Nathan's romance (as Eddy, of course, wouldn't have been present at every moment of their courtship) but not so much that we don't get the picture and find ourselves emotionally invested. On the whole, this book brings a significant phase of history to life, showing what previous generations went through so current ones are able to benefit, which is what I like in a story. Invites readers to discern the divine in the ordinary moments of everyday and live an examined life where everything is a form of prayer. This book is written like an almanac, giving us plenty to ponder month by month. There are lists of blessings, notifications of ancient religious festivals with suggestions of how to observe them, quotes, recipes, and personal reflections. They are designed with the intention to draw our attention to great, but unobtrusive blessings which we may otherwise overlook. It reminds me a bit of '1000 Gifts' by Ann Voskamp. 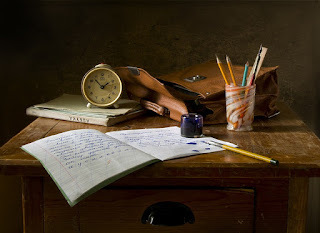 It's not always the easiest style of writing to get my head around, being something like a cross between poetry and prose, but is well worth making the effort. I think I find the style a bit difficult to get into at times, because as a fiction writer, I've been taught that our aim is to make any literary techniques totally unobtrusive, so the story flows. This style, however, seems to be written to draw attention to literary devices so we can't help but look at them. It's beautiful, and definitely suits this genre, but is just not what I'm used to. I also feel I need to give a caution to readers like myself, from the Southern Hemisphere, before picking up this book. The almanac quality doesn't work for us, as the seasons are back to front. Our summer falls between December and February, and winter between June and August. Although we can always dip into different places to suit our current seasons, this is still a bit of an issue as Barbara Mahany has written it carefully so that readers ought to be shivering at the start of the year and sweltering in the middle. Thanks to Abingdon Press and NetGalley for my review copy. I live in Australia, which as many know, tends to be an obscure country when it comes to the media. Lots of celebrities in the arts have moved overseas to try to 'make it' in places where they believe more is happening. When you look at Australia's situation at the bottom of the globe, it's easy to understand why this may be so. It takes a glance at the whole picture to show how far removed from the rest of the world we are. (Apart from our Oceanic neighbours, such as New Zealand and Papua New Guinea, who share our plight.) It's all very well to say we're surrounded by ocean on either side, but words alone don't paint an adequate picture of just how much Pacific Ocean there is to our east, and Indian Ocean to our west. Okay, having established that, I remember an interesting message my pastor once gave, about how our position in the world is basically an arbitrary choice made by the world's map makers throughout history. Our planet is out in space, so it could have just as easily been flipped upside down in our Atlas, which would put Australia high in the north. It wasn't done that way though. We are far south in everyone's minds, which has connotations of being 'down there'. We have deserts, kangaroos and blokes slouching around in tank tops and thongs. That's us, in the world's eyes. So having established that, my state, South Australia, is probably one of the most obscure states in an obscure country. This hit me hard once when I was part of a group of Aussie Christian authors who were talking live online to several American readers. We asked where they would like to go if they were able to visit Australia. The answers, although not surprising, were overwhelming. 'I'd like to see the beautiful eastern coast... Sydney and the Harbour Bridge... the Gold Coast with all the theme parks... it would have to be the Queensland tropics with the Great Barrier Reef... Ayers Rock. How beautiful... I've heard that Tasmania is lovely, with all its produce.' South Australia was mentioned just once, and that was by a lady who had relatives living in Adelaide, who had told her how beautiful it is. Once I acknowledged that I'm living in the most overlooked state of the most overlooked country, other things began to slot into place. I remember asking my dad, 'Why didn't your father ever become more famous?' He had such a successful boxing career that he'd been asked to retire, to let younger men have a fair go. Yet if you search for my grandfather on the internet, hardly anything comes up. 'Why isn't Red Mitchell's name as widely recognised as Les Darcy's,' I asked. I took Dad's answer on board without a thought at the time. 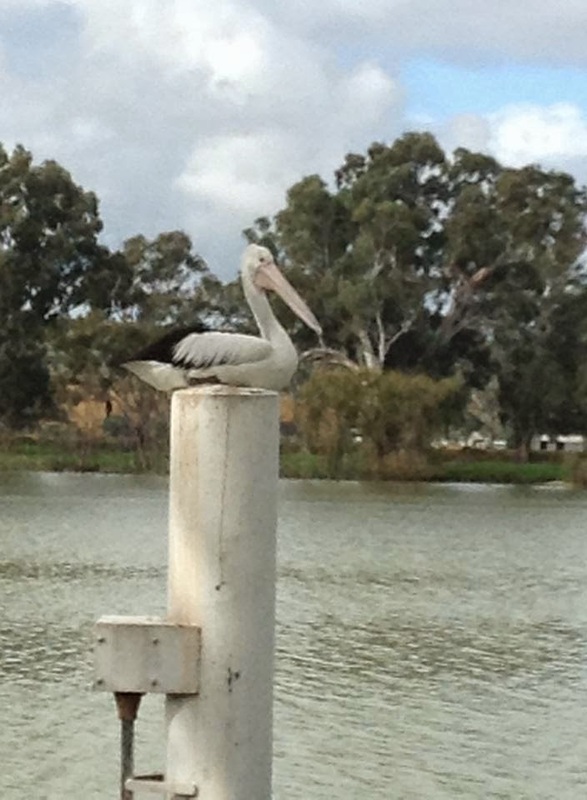 'He was only South Australian.' That said it all. I don't know about that though. It might not be wise because I'm a South Aussie girl all through. The blood of several generations of others flows through my veins. Some were Germans who wanted to flee religious persecution in their own country, and others were Brits who wanted a brand new start away from the mid-nineteenth century poverty they'd struggled with. They all became South Australians. Although I'm not one of those people who couldn't possibly live anywhere else (such as Emily Bronte and her Yorkshire moors or Heidi with her Swiss Alps), I'm so familiar with my home that the South Aussie authenticity can't help slipping accidentally into my stories. It probably wouldn't work if I tried to adopt another setting. I use words such as 'Fritz' and 'Fruchocs' assuming that everybody will know what I'm eating. 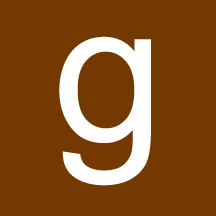 I use long R sounds, pronouncing 'castle' as 'carsel' instead of 'cassel', and 'graph' as 'grarf' instead of 'graf.' I know all about Beehive Corner, the Silver Balls of the Rundle Mall, and the State Bank Christmas pageant without having to research these things. I've always thought of using my own environment for my novels as putting my stamping ground on people's radars. My South Aussie settings have been my trademark, not because I'm doggedly stubborn, but because I'm not sure I could easily change if I tried. I'm not really sure I'd even want to sacrifice my setting, as it really is a beautiful corner of the world. 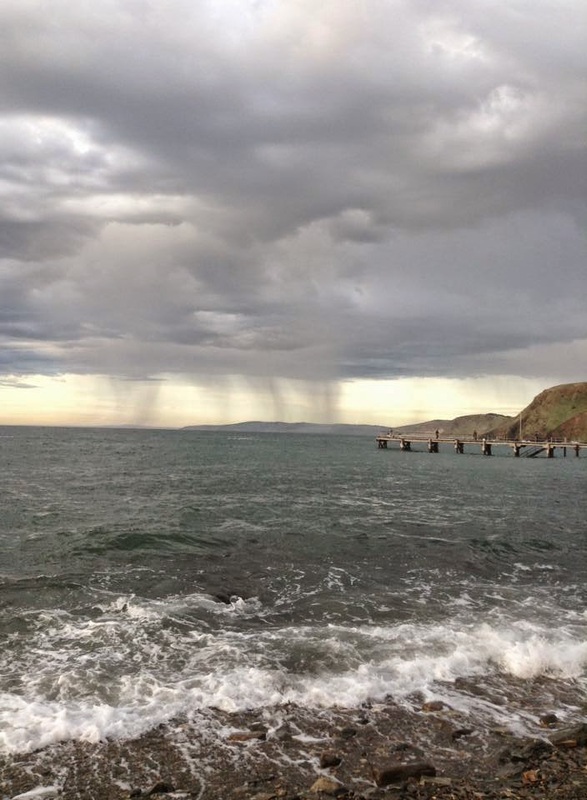 South Australia has four very distinct seasons. If you were to see a photo of my Adelaide Hills, you'd be able to tell whether it was summer, winter, autumn or spring. When we speak about going to the beach, we're often talking about safe, warm gulf waters which have lost the Southern Ocean chill. It's been a pretty good home for me. At the moment, even though it is the most obscure place in the most obscure place, I tend to think I'll probably keep using it for the time being at least. 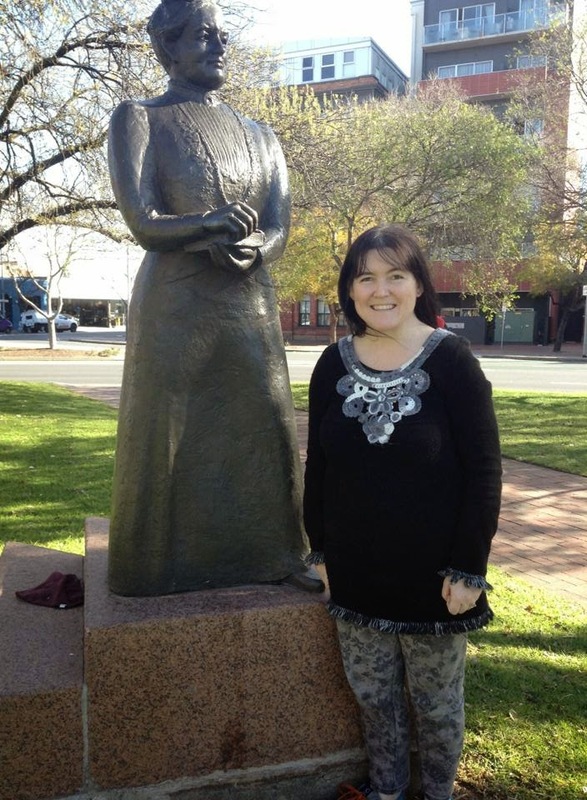 I'll finish up with this photo, taken in Adelaide last week, of me with the statue of Catherine Helen Spence, a very illustrious South Australian lady who became an author, journalist, politician and well-known suffragist, all from the obscure spot of South Australia. She bloomed where she was planted, and so can we. Memoirs differ from autobiographies in that they usually cover just a section of the author's life, rather than a broad account from birth onwards. They are often written around a particular theme. This one is a great read for those of us who would travel more if we were in the position. Reading helps us to be good armchair travelers. Although up to 90% of us pray, very few of us feel like we've mastered prayer. A Year of Living Prayerfully is a fascinating, humorous, globe-trotting exploration of prayer that will help you grow your own prayer life. Jared's witty reflections on his fast-paced journey will both entertain and inspire you to think about your own prayer journey. 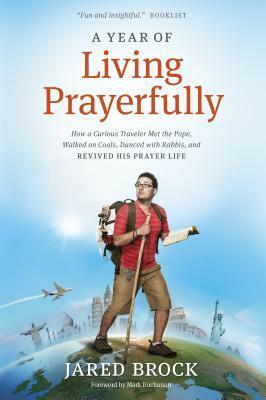 Join Jared on a rollicking modern-day prayer pilgrimage... you'll never pray the same again. Jared Brock and his wife, Michelle, wanted to be more effective in their prayer lives. He claims to have been more of a dwarf sapling than the giant spiritual oak he wanted to be. What follows is a fascinating pilgrimage around the world to locations of several prayer greats, some living and some dead. If there were any secrets to a powerful prayer lifestyle along the way, Jared was determined to find them. What he offers us is not another 'how to' book on prayer techniques, but a candid series of interviews and research in which he finds out what has worked best for others. I enjoyed this book, especially because it's the sort of trip I'd love to take myself. Jared draws us into his own experiences in such a way that we might have tagged along on his travels. It's easy to trust him to be the ideal guide, because of his obvious earnestness to cut through any waffle and commercialism to the gems beneath. Some of the places he visited I wouldn't be able to get to anyway, such as the Greek Orthodox community of Mount Athos, where no females are allowed. Others I might not want to explore, such as North Korea, Westboro Baptist Church and some of the more militant parts of Israel. In fact, Jared Brock was seriously worried for his own safety at times. Firewalking at a Tony Robbins convention was the least of his danger. Some of his highlights include a face-to-face meeting with Pope Francis at the Vatican, walking the famous Camino de Santiago in Spain, which incorporates the Apostle James' resting place, and discovering the site of Brother Lawrence's monastic kitchen in France. He also went to Dr David Yonggi Cho's enormous Yoido Full Gospel Church in Seoul. All this is just scratching the surface. He ended up with several eye-opening and thought-provoking takeaways from this smorgasbord of destinations. Some are in his frequent, amusing footnotes. The book is interspersed with quotes from well-known people. On a more prosaic note, I was shaking my head over the number of significant landmarks which turned to be unexpectedly closed when Jared arrived, or access was denied for whatever reason. The fact that I'm not the only person this sort of thing repeatedly happens to is a revelation in itself. With so many vastly different philosophies and habits to examine, he was looking for recurring themes or major breakthroughs. Jared was no unbiased reporter. He's always ready to give his personal opinions in his wrap-ups. He lets us know when he's amazed or aghast, and most times, his feelings coincided with mine. I'm so glad that, as he made the effort to make this pilgrimage, he didn't keep the experiences and insights to himself. Chelsea Chambers has many hassles. She's inherited her mother's cafe, which had been a family business for generations, but discovered an $86000 debt. This comes on the heels of separating from her husband, who has cheated on her, and trying to deal with the confusion and grief of their two young children. But business takes a sudden boom with the arrival of the 'God Blog' on her premises; a direct internet line to God, who offers to answer the heartfelt prayers of any customers. Chelsea's staff are more than meet the eye too. The story kept reminding me of movies. It had elements of 'Bruce Almighty' and 'Evan Almighty' but overall, I found it to be more like one of those Hallmark inspired movies, maybe a bit too kitsch and cute. The characters seemed to fall into stereotypes. Frazzled, hard-done-by, beautiful young mother, troubled prepubescent son, adorable daughter, and estranged, sports star husband who has seen the error of his ways. Then there is Manny, the quirky, lovable employee, who is really an angel, and Dennis Darling, the smarmy business man 'friend' with his own agenda. 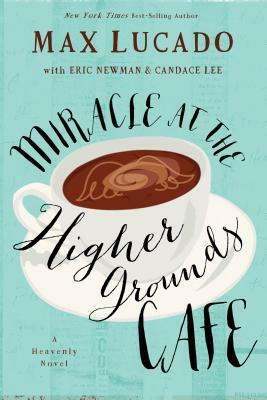 I was surprised not to find many of Max Lucado's heart-stirring passages which he's so well-known for in his non-fiction. I started this book thinking that fiction may give him another great outlet to do what he does best, but there seems to be much less. I have to say that even though I love his non-fiction and even his kids' books, I'm not a great fan of his adult fiction based on this book. However, I think his aim of highlighting hidden, spiritual realities was achieved. As we're told, 'prayer moves God, and God moves angels.' There is more going on in the hidden realm around us than meets the eye. Prayers are heard and responded to in their perfect time. They are never wasted or useless. And we never know what may result in the lives of ourselves and our loved ones when we dare to persist in praying for them. Thanks to NetGalley and Thomas Nelson for my review copy. 2015 Reading Challenge Week 10 - A book that came out the year you were born. I was actually expected in 1970, either January 2nd or 7th, I can't quite remember. Instead, I was born Christmas Eve, 1969. So I slipped into the 60s with one week to spare. This book was published in 1969 and not 1970, as Goodreads claims, but I consider myself a bit of a straddler anyway. I saw that this novel was published down the track as a Penguin Classic and the blurb sounded whimsical and amusing. However, I wouldn't be surprised if this is among the wooden spoons of the challenge. 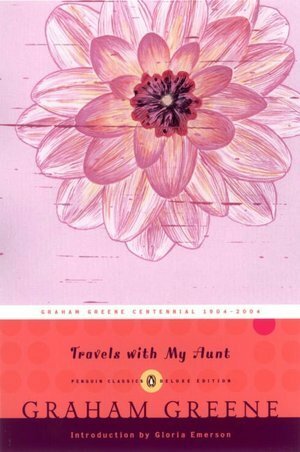 Described by Graham Greene as "the only book I have written just for the fun of it," Travels with My Aunt is the story of Henry Pulling, a retired and complacent bank manager who meets his septuagenarian Aunt Augusta for the first time at what he supposes to be his mother's funeral. She soon persuades Henry to abandon his dull suburban existence to travel her way—winding through Brighton, Paris, Istanbul, and Paraguay. Through Aunt Augusta, one of Greene's greatest comic creations, Henry joins a shiftless, twilight society; mixes with hippies, war criminals, and CIA men; smokes pot; and breaks all currency regulations. Henry Pulling is a middle-aged bachelor enjoying his early retirement and growing dahlias. He dislikes the unexpected and thrives on routine. It's clear that he's meant to come across as a bit stodgy and tame. (If the story was set now, Henry might turn out to be a computer game nerd, considered cool by many.) He meets his Aunt Augusta at his mother's funeral, for the first time since he was a little boy. Nudging 80, she likes to live the fast life and talks him into being her travel companion. Aunt Augusta has always ignored moral codes and social norms. She has a string of illicit affairs behind her, and crimes which she's got away with. Her frequent stories of the past seem to annoyingly get in the way of the plot, until I realise they essentially are the plot, as the travel tales meander along very slowly at times. Several of her stories cross a line into the realm of too weird for me, such as the ex-circus lover who set up a church for dogs. But crazy as these anecdotes are, they alone are not enough to make me cringe while reading a book. Trying to figure out what did it, I realise there's a sort of double standard at play all the way through. The novel is written in such a way to try to make us admire Aunt Augusta and deplore Henry. We were being prodded to applaud her unethical choices and freedom, and think of him as a poor, sorry fool. To use the book's own logic though, the lifestyle Henry was living at the start is arguably different but not better or worse. Augusta resents the staid folk who judge her choices, yet she blows up in a very judgmental manner at poor Henry several times. He does quite a bit of kowtowing and apologising for his attitude toward her, while she never apologises for her attitude toward him, which to me, is the exact same thing. The major plot twist is enough to convince me that Aunt Augusta actually missed out badly on a lot of the good things in life, although she never seemed to regret it at all. The 'change' in Henry as he lightens up and comes to see the light, I also found a bit cringeworthy. I think another line is crossed when a 55-year-old man gets engaged to marry a fifteen-year-old girl. I wonder whether this novel represents the general feeling going around in the late 60s/early 70s about doing whatever feels good, or whether readers back then had similar reactions to mine. Maybe it was good to have been an oblivious baby at the time. Thirty-five years ago Kathleen fled her home, desperate to cast off weights of poverty and shame. But an unexpected invitation from her sister unwittingly draws her back to that sleepy New York town, her own daughter in tow. A trip meant to salvage her relationship with her daughter changes course as Kathleen reexamines her own childhood. But even more enlightening are the stories of Eleanor, her once-vibrant mother, and Fiona, the grandmother she barely knew. The more Kathleen learns, the more answers she seeks concerning her family's mysterious past. Yet with the past exposed, Kathleen is torn between her need to forgive and the urge to forget. 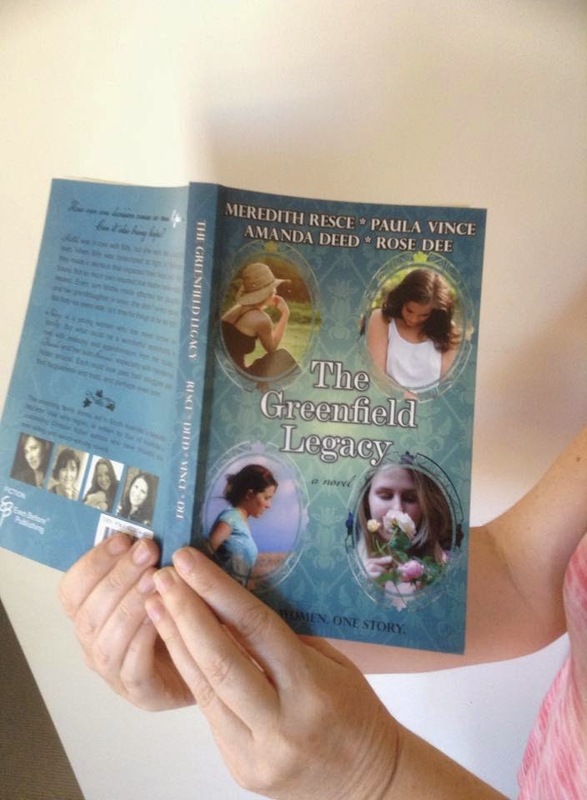 This story focuses on four generations of women in a family line. Each deplored her mother and resolved to be completely different. The passage of time hid the fact that they were all most alike, especially in their decisions to sever all ties with their families. Kathleen, who is number three in the pattern, realises that her relationship with her teenage daughter, Joelle, seems to be heading the same way. She delves into their past and becomes aware of the trend, arming her with understanding and knowledge to end the process. After a lot of thought, I realised the captivating quality of this story is because it is told backwards in time instead of chronologically. That's enough to add depth and mystery. We're already aware of the results of each woman's choices, and just need to find out how they got there. From Kathleen's own sad background we're drawn back to the pasts of her mother, Eleanor, and grandmother, Fiona, through the memories of others. Delving into several characters' lives at different stages can be as fascinating as time travel stories. I love the massive bombshell twists. One major one got me wishing I could take back some of the tears I cried, and then made me wish I'd cried them for a different reason. At first, my biggest gripe was being unable to perceive a male character as a clear role model to admire. Donald, Leonard, Rick, Howard, Rory, Arthur, Lorenzo. There is a long line of despicables. I was glad when a couple from that list grew on me as the story progressed, especially the one whose past was unraveled the same time as his sister's. It's interesting to see how history is shown to have a major role in shaping characters, rather than rolling off like water from a duck's back. Kathleen was a product of the political uneasiness of the volatile '60s. Eleanor's story took place in the WW2 era, and Fiona's in the roaring '20s, with flappers and speakeasies. I didn't always approve of characters' decisions to turn their backs. I can understand Fiona's position, but wished Eleanor and Kathleen could have shown a bit more grace. The fact that Kathleen never once wanted to find out what became of her brothers and sister didn't sit easy with me - like abandonment. She just decided she was better than they were, and took off! I thought her family were most magnanimous in opening their arms to accept her back in the fold after the way she treated them. Yet it reminds us we're all in need of grace and forgiveness at times, for a lot less. It's good to come across stories in which it is offered freely, helping us to offer it to ourselves. As a writer, I get occasional invitations to speak at venues. A couple of weeks ago was a great opportunity. The Year 12 students at a Christian College are studying my novel 'Best Forgotten' as one of their core texts. Their teacher asked me to come and speak to them about that book in particular, and also to the Year 10 and 11 students about fiction writing in general. I'd promised to arrive by 9am, which meant jumping out of bed before day break. I knew three hours would be plenty of time to get as far as Balaklava and thought I had my route planned out. However, my sense of direction is poorly developed. It's the way I was born, and although I know some sort of GPS would be helpful, I haven't got one. It became clear that I must have taken a wrong turn in the city outskirts as I found myself in the thick of morning rush hour traffic. Pulling over to consult my street directory didn't help, as my eye was on the clock and I was beginning panic mode. For the life of me, I couldn't figure out where I was in relation to where I needed to be. Having to flip several pages to try to figure it out certainly didn't help. My only option was stopping to ask for directions. I ran into the nearest business, which was a day care/baby-sitting facility for dogs. The girl behind the counter looked up Google Maps and tried to explain a possible route, but it was all around the place, and a male colleague of hers asked me to step out the front with him so he could take a look at the print-out. We dashed straight to a big auditorium, where all the Years 10 and 11 students burst into applause, presumably because I'd finally shown up. In retrospect later, I couldn't help thinking about that young guy who worked at the doggy day care, and how he'd been the perfect person to have stumbled across. Giving me those directions was probably just a small gesture for him, but they really saved my day. I don't think I'd possibly be able to find the street of his workplace again to thank him, and he probably wouldn't even remember me if I did. But what a great stroke of providence that I randomly stopped at the place where the person who could give the best, clearest instructions happened to work. Several others were not let down, I managed to have an excellent day too, and it's reminded me that the same principle probably applies to all of us. For all I know, something I said at the school might have struck a chord with some of the students, and the good benefit may ripple further. We never know what our small, helpful gestures will mean in the grand scheme of things. Maybe when we go to bed at night thinking, I didn't achieve much this day, our input was really vital for somebody else. Thanks heavens for human angels, but I wouldn't mind a GPS some day. This is one of the most intriguing type of love triangles, in which there is no clear favourite contender for the fair lady's hand. Both young men are worthy and admirable. We just have to wait it out. Though once a baron's daughter, Lady Merry Ellison is willing to go to any lengths to protect the orphaned children of her former village. Dubbed "The Ghosts of Farthingale Forest," her band of followers soon become enemies of the throne when they hijack ill-gotten gold meant for the king. Timothy Grey, ninth child of the Baron of Greyham, longs to perform some feat so legendary that he will rise from obscurity and earn a title of his own. When the Ghosts of Farthingale Forest are spotted in Wyndeshire, where he serves as assistant to the local earl, he might have found his chance. But when he comes face-to-face with the leader of the thieves, will he choose fame or love? This novel is set almost exactly 800 years ago, in the year 1216. Teenager Merry Ellison leads a group of outlaw children whose families were slaughtered in a terrible political attack. Timothy Grey is the youngest son of a nobleman who longs to prove his worth by capturing the band of thieves for his employer. It's a pleasant and entertaining story set in a grim stage of history which was just the opposite. People rarely bathed, methods of torture were barbaric, travel was long and difficult, and the age of legal culpability was seven, so that many of Merry's young followers would be hung, drawn and quartered if discovered along with their leaders. It doesn't take long to figure out that this is going to a fairly lighthearted book. It's quite comical at times. Dina Sleiman wrote the story so lovingly, I couldn't help being confident, the further I read, that all would be well to the point of the macabre threats becoming a bit of a joke. For example, Lord Wyndemere scolding Timothy for not dealing with the thieves, saying, 'I was quite disappointed to find no rotting remains to greet me upon my return to the castle.' Yet I think she manages to pull it off okay without having it digress into a Medieval farce. We readers know that we're just getting a fun romp through the Middle Ages, but for Merry and her supporting characters, the ever-present threats of danger and sudden death are real. Sometimes in books set so long ago, there's the danger of filling characters' heads with modern attitudes which would never have crossed their fixed mindsets. I wondered if this was happening with Merry, as some of her ideas about divine right order seem pretty up-to-date for a Medieval girl, but I think the author manages to get away with it here too. After all, some of Merry's fellow men set the precedent, such as Robin Hood (or Robyn of the Hode, as he's known by these characters). The love triangle is fraught with some inevitable regret, as both contenders for Merry's heart are equally easy to support, to the point where we know we'll be sorry for the one who misses out. Even toward the end, she's not sure which it will be herself. Merry doesn't intend to play one off against the other, but she can't help doing so a bit. There's Timothy, trying to balance his Biblical respect for rulers with what he knows in his heart is right. And then there's Allen, who can plunder and steal one day, and approach God confident of help the next, because he knows God judges the heart (and after all, who can be innocent according to the twisted laws of King John?) During their sparring match, I honestly couldn't decide which of these two young men I hoped would win. I think the strength of childhood ties managed to push one of them over in the end. I know my favourite aspect of this novel. Not the daring rescues, skilful exploits, tense love triangle, jealous foes, and backing out of what looks to be a perfectly set trap. Neither is it the touch of the angelic or the 'in the nick of time' reunions. Great as these things are, I loved the deep affection and camaraderie between the Farthingale Ghosts. This includes the way in which every member played on their strengths, carried each others weaknesses and were so distinct from each of their companions. I hope there will be another book because now I want to find out what happens to each of them, and most of all he who didn't win the heroine's hand.